Child4-12 years old. Children under 4 years old are free. It's time to cruise the fabulous Las Vegas Strip! Come along and hear all about the Las Vegas Resorts, the city's notorious history, and tips to get the most out of your LV vacation. On this fully narrated sightseeing tour, you will experience so much more on an Open Top Sightseeing double-decker tour bus. Your ticket is valid for 48 hours. You will love it! 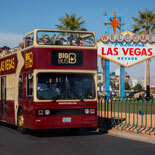 While on your ultimate escape - join the Big Bus Tours Las Vegas on a double decker bus. 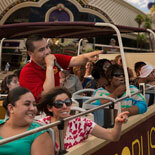 Hop on and discover the fabulous Las Vegas Strip. 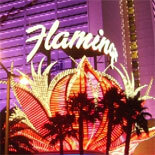 Learn about Las Vegas, it's past, present, where to go and what to do on this fully narrated tour. Kids loves to go sightseeing on an Open Air Double-Decker bus - and if the tour is getting too long for them, just HOP OFF at any stop and go exploring. Hop on a new fun bus that pulls up every 30 minutes! Hop on and off at your leisure along TWO distinct tour routes. 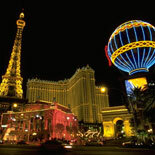 Tour at your own pace and set your itinerary as to what you want to see and do while in Las Vegas. Many adventures await. Find your thrill on the many Las Vegas roller-coasters or take a swing from the Stratosphere Tower, tour the magnificent hotels, see award winning shows, gamble a little, dine in fine restaurants and maybe bump into a celebrity or two, and you have 48 hours to do it all in! With so much to see and do, don't miss the bus! 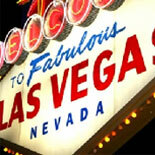 Get your eTickets today and join the Big Bus Tours Las Vegas. 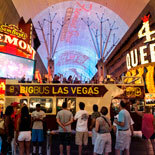 Now included in the Deluxe Tour is the Panoramic Night Tour that with a Guided walking Tour at the Fremont Street Experience. Day tour runs 365-days-a-year. Operates 10:00am-7:30pm. The last full sightseeing bus departs at 6:00pm.Ticket is for 2 days. The first bus departs from Circus Circus at 10:00 am. Sightseeing buses then depart every 30 minutes. One full circuit of each route takes approximately 1 hour 30 minutes. 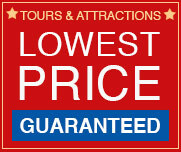 Panoramic Night Tour (Hop-on Hop-off): OPERATES: Once a day, picks up at three locations. 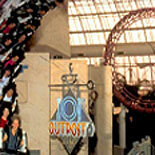 Departure: 7:00pm from Circus Circus- Las Vegas Blvd entrance, by Slots of Fun. Departure: 7:15pm from LINQ Promenade High Roller: Bus Loading Zone. Departure: 7:30pm from Excalibur Hotel & Casino: Rotunda, casino entrance at the rear of the property. 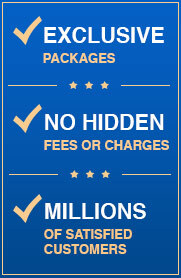 You may begin your tour at any of the designated stops and present the ticket voucher right to the Driver. *See Previous Page for Stop Information. Child Ticket: 4-12 years old inclusive. Children under 4 years old are free. Reservations are not required. Your ticket is valid for 2 days from the first time you board the tour bus. Tour runs in rain, guests are moved to covered deck of bus. Strollers allowed on bus Food or drink are not allowed on buses. No Restroom on board. Children under 4 years of age are free but may need to ride on your lap if seats are occupied by paying riders. Buses are prepared with seats belts for carry on child seats. There are ramps and equipment for wheel chairs.